This week the global music industry sent its 100 millionth DMCA takedown request to Google. According to the RIAA, this staggering number has done very little to keep the most blatant pirate sites out of search results. Together with IFPI, the RIAA urges Google to up its anti-piracy efforts, which includes demoting pirate sites, or removing them altogether. The music industry is not pleased with Google’s approach to their piracy problem. While the search engine rapidly removes millions of links week after week, the RIAA and IFPI want Google to be more proactive. The music groups sent their 100 millionth takedown request to the search giant this week, and used this dubious milestone to lay out their demands to Google once more. According to the RIAA’s Cary Sherman, Google must have a way to better deal with piracy. “Surely there must be a better way for users to be directed to legitimate sources of the music they seek instead of illegal ones,” Sherman notes. 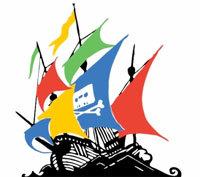 The RIAA points out that Google has taken some steps to address the piracy issue, such as the promise to give “pirate” sites a lower ranking in their search results. However, the music group believes that this strategy has failed thus far. “We’ve seen no demonstrable demotion of sites that receive a high volume of piracy notices,” Sherman writes. “In fact, when a user searches for virtually any prominent artist and song and ‘mp3,’ the first result served up by Google’s own auto-complete function is usually mp3skull.com — a site that’s received more than two million music piracy notices and is among the top offenders on Google’s own public listing of sites receiving the most piracy notices,” he adds. “So the enforcement system we operate under requires us to send a staggering number of piracy notices – 100 million and counting to Google alone—and an equally staggering number of takedowns Google must process. And yet pirated copies continue to proliferate and users are bombarded with search results to illegal sources over legal sources for the music they love,” Sherman notes. Together with IFPI, who released a press release on the same topic yesterday, RIAA is calling for voluntary anti-piracy ‘best practices’ to deal with the problem at hand. The groups note that payment providers and advertisers previously agreed on similar policies in a bid to help copyright holders. To make facilitate such an agreement, the music group has drafted a “simple, straightforward and readily achievable” five-point plan for Google and other search engines to fight piracy. Their suggestions are as follows. Looking at the list we see that Google has already started on point 1 and 4, but not to the satisfaction of the music groups. Point 2 is interesting as it suggests some form of hash blocking to ensure that content is not re-indexed, for as far as that is possible for search results. Point 5, regarding “repeat offender” policies, is most vague. It seems to suggest that the RIAA and IFPI want Google to take action against sites that repeatedly receive takedown notices, but that would be the same as point 1. This is not the first time that copyright holders have shared their anti-piracy wish lists with Google. In 2012 a behind-closed-doors meeting revealed that the copyright industry wanted the search engine to implement several anti-piracy measures. Whether Google intends to take up the new five-point plan remains to be seen. One thing’s for certain though – pressure from the RIAA and other anti-piracy groups will only increase during the coming years.